Mountains Edge - Pride of ownership inside and out. MLS#2055408. HomeSmart Encore. Silver Hills Mountains Edge - Backyard with rock slab patio. DON'T MISS! MLS#2053240. Offerpad. Silver Hills Mountains Edge - The shed is large enough for all your extras & the garage has its own AC unit! MLS#2052039. ERA Brokers Consolidated. Denali Mountains Edge - Master bath features dual vanities, separate tub and shower. All appliances included! MLS#2052021. iProperties International. This is a must see home with beautiful upgrades! MLS#2050926. Realty Executives Southern. Maravilla At Mountains Edge - Tank less Water heater and storage at garage MLS#2049322. Choice One Properties & Manage. Rivendell - Lots of storage space, All appliances included! MLS#2050068. Congress Realty. Charming 2-Story in the Heart of Maravilla ~ LOW HOA’s ~ Community Pool, Park & PlayArea ~ Corner Location ~ Lattice Covered Patio & Synthetic Grass ~ 2 Bay Garage ~ Dual HVAC w/Smart Thermostats ~ Featuring 3 Bed - 12x12 Loft - Optional 4th Bed ~ 2.5 Baths within 1,945 sqft ~ Spacious Kitchen ~ Appliances & W/D Remain ~ Volume Ceilings ~ Generous Master ~ Tile Flooring ~ Dual Vanities in Master & 2nd Bath ~ HOA Maintains Front Lawn MLS#2049253. Coldwell Banker Premier. Mountains Edge - A pool is part of the HOA. MLS#2047472. Opendoor Brokerage LLC. Mountains Edge - Also work out facilities and area for parties. 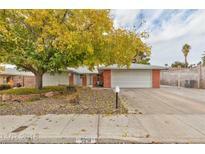 MLS#2048334. Platinum R.E. Professionals. Mesa Mountains Edge - Do not delay. Send us your offer TODAY! ! MLS#2046540. Motion Properties. 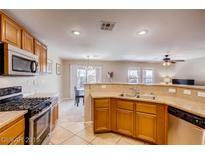 Stonebridge - Don'T Wait To Come View This Awesome Property And Make It Your Home! !lease Buyout-30 Day Move-in MLS#2047626. Turn Key Property Solutions. Monterey Manor & Cove - The back yard is a blank slate ready for you to create your own oasis. MLS#2043997. Realty ONE Group, Inc.
Mandolin At Mountains Edge - Beautiful and inviting entry into the community, This home has great potential, All new stainless steel appliances, New washer & dryer, tile floors, Community pool & park. MLS#2045410. 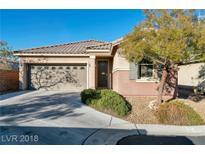 Summerlin West Realty. 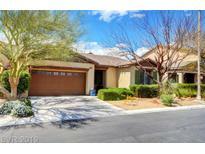 Mountains Edge - Fruit Trees, Covered Patio W/Ceilings Fans and much more..This is a must see home. All Appliances Included MLS#2044785. BHHS Nevada Properties. Chaco Canyon Mountains Edge - Three parks and walking and hiking paths are part of the HOA. MLS#2043258. Opendoor Brokerage LLC. Mandolin At Mountains Edge - Patio Out Back For Bbqs! Sid/Lid Is Paid In Full! MLS#2043177. Resolution Realty. South Mountain - An Incredible Hard to Find Gem that Boast 6 Bedrooms, 5 Bathrooms, Massive Master Bedroom W/Two Way Fireplace, Two Bedrooms Down with Full Bath & 1/2 Bath for Guest, Huge Loft, Office, Open Kitchen, Custom Cabinets, Granite Counter Tops, Large Walk In Pantry, Window Coverings, Stainless Steel Appliances, Huge Loft, Two Fireplaces, Sparkling Pool With Water Feature, Covered Patio, This Property Is a Must See!! ! MLS#2042489. Simply Vegas. Stonehurst At Mountains Edge - Stainless , side by side refrigerator with outside ice dispenser , newer washer and dryer ! don't miss this gem ! MLS#2040868. New Era Realty LLC. Stonehurst At Mountains Edge - Don’t miss out!! PRICE TO SELL! ! MLS#2040872. Compass Realty & Management, L.
Buffalo Starr - You will know from the moment you step in that you have found your forever home!! ! MLS#2040009. Rustic Properties. Montecito - Open Floor Plan; Vaulted Ceiling in Living Room; Tile and Wood-Like Flooring Downstairs; Ceiling Fans Throughout; Kitchen w/ Large Pantry, Solid Surface Counters; 9' Ceiling Upstairs; Balcony Off Master; Desert Landscaping Turf in Back Yard; Paver Patio. MLS#2038830. Keller Williams Market Place. Alpian Meadows - Home comes with a 30-day buyback guarantee. Terms and conditions apply. MLS#2036441. Opendoor Brokerage LLC. South Mountain - Agent and Buyer to verify all info on MLS to be deemed reliable. MLS#2037216. Ideal Homes Realty LLC. Mountains Edge - Exploration Peak Park, Schools, and Shopping nearby. Get it while you can!! ! MLS#2036122. Coldwell Banker Premier.